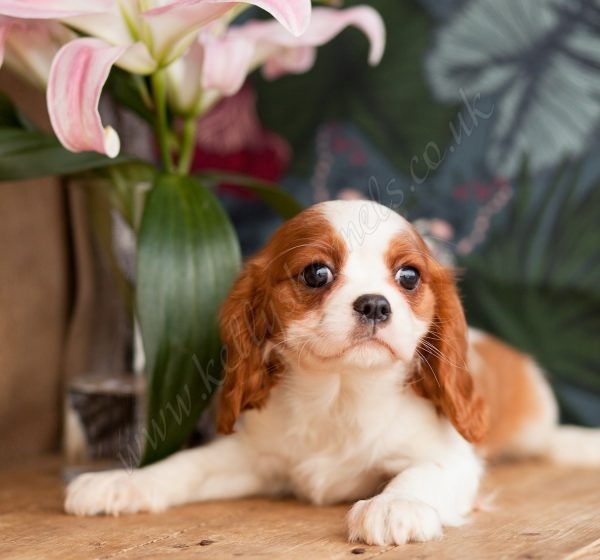 Beautiful Cavalier pups just ready for special homes! Gentle, sweet and full of character. 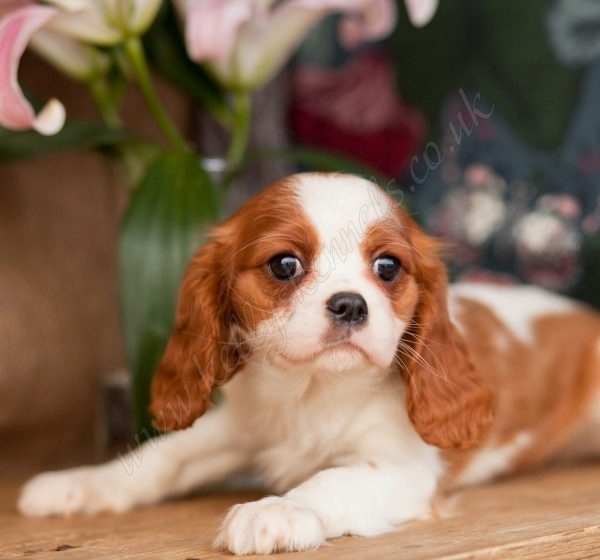 Back in 1500’s Cavalier King Charles Spaniels were pets to royalty in the UK, but much more popular than with just royalty today. 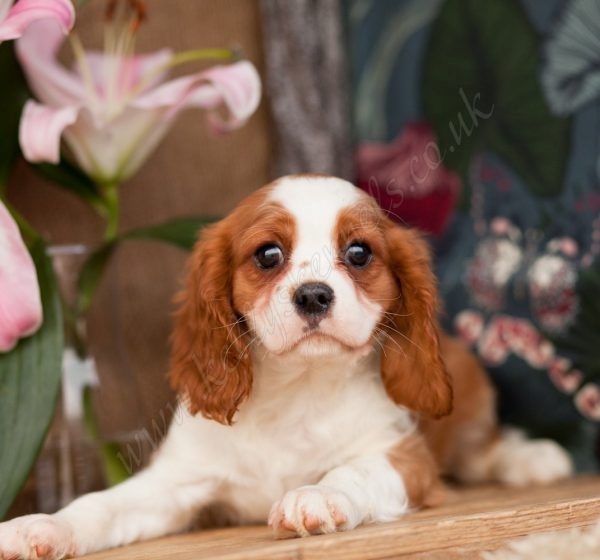 King Charles Spaniels pups and adult dogs are easily trainable and are wonderful with children! 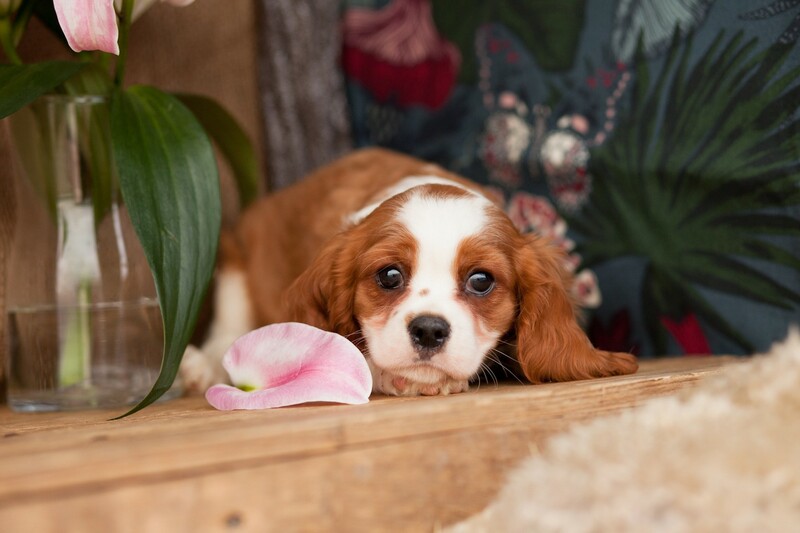 Kellys Kennels are working with Willows Veterinary Group and their 17 surgeries placed around the Country, All our puppies come with a unique discount voucher which you can use at a Willows practice to get a special discount on your puppies 12 week vaccination. 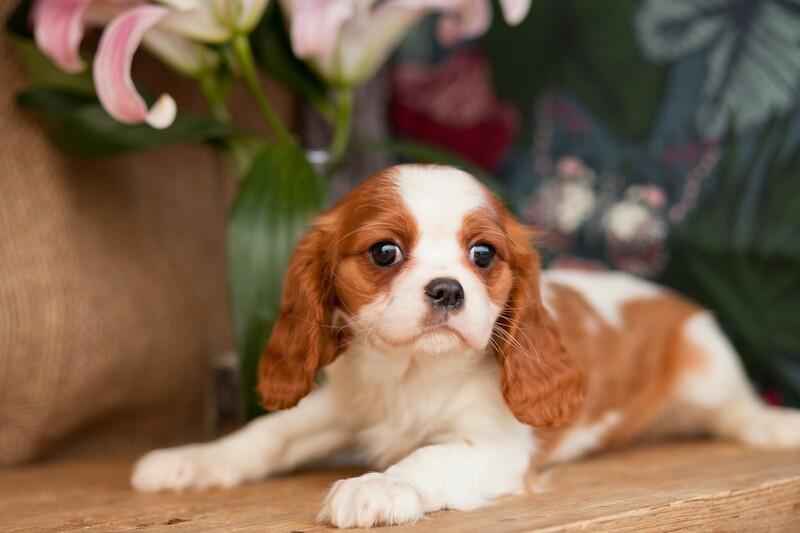 All our dogs eat Royal Canine and a free bag is provided with each puppy. 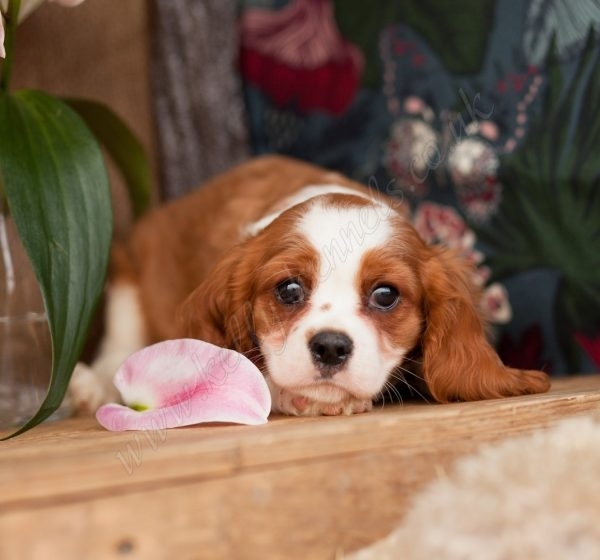 Classed as a toy dog by The Kennel Club & the American Kennel Club, The Cavalier King Charles Spaniel is a small spaniel originating from the UK. 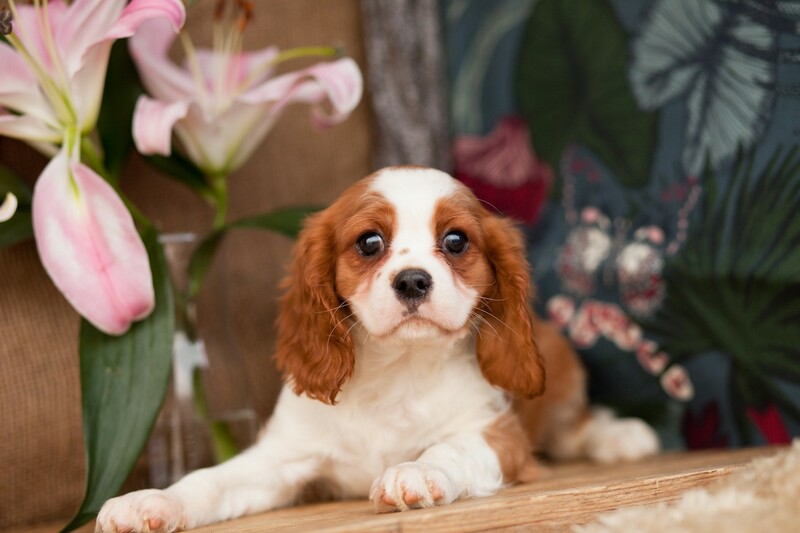 In 2007 the breed most defined as the 6th most popular in the United Kingdom. 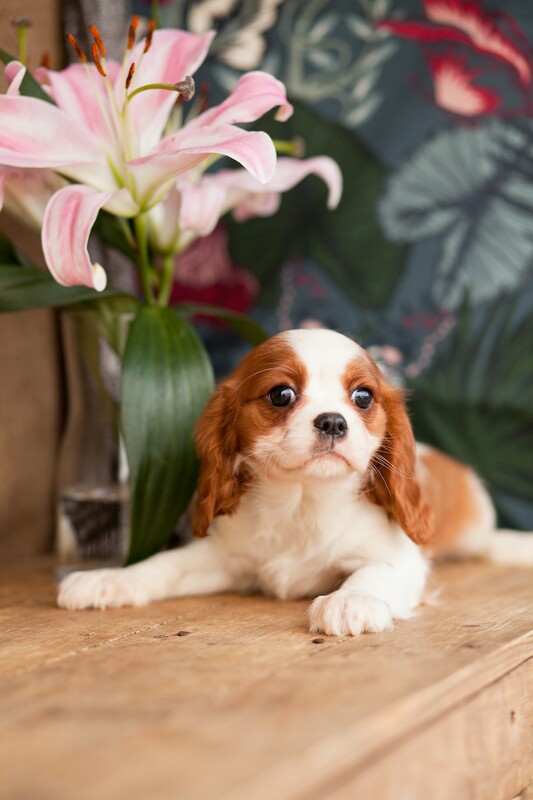 Cavalier King Charles Spaniel would adopt perfectly well to living in an apartment / condo since a sturdy dog only stands 12 – 13 inches at the shoulder.